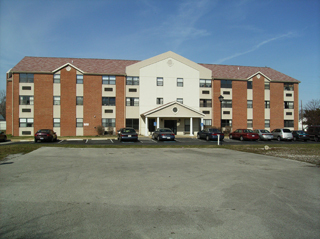 Erie Metropolitan Housing Authority manages a 29-unit property for the elderly at Community Plaza located at 1211 McKinley Street, Sandusky, Ohio. Community Plaza is conveniently located near shopping areas and is a quiet, well-maintained, and secure building. Utilities that are included in the rent are heat, air conditioning, electricity, water and trash. Applicants must meet income requirements for admission, and rent is based upon the household’s income. Applicants for this property must have a household member who is at least 62 years old. Application - Hard copy applications/pre-applications may be picked up at the main office of Erie MHA at 322 Warren Street when a waiting list is open, but online pre-application is encouraged.